A preferred bidder for developing the Plymouth Pavilions site and providing a new ice rink has been agreed by the City Council’s Cabinet today. FDL will refurbish the existing arena at the Pavilions site, re-cladding the building, creating a new entrance foyer, additional backstage and support spaces, upgrade the lighting and acoustics and increase its capacity. The plans will regenerate the existing Pavilions site, providing quality residential and retail development and creating a link between Millbay and the city centre supporting the regeneration in the West End of the City Centre. “An improved and more flexible arena will attract new events and visitors to the city while a bigger and better ice rink will support the huge interest in all types of skating in region, including ice hockey. The Plymouth Pavillions site was of course the old Millbay Station. 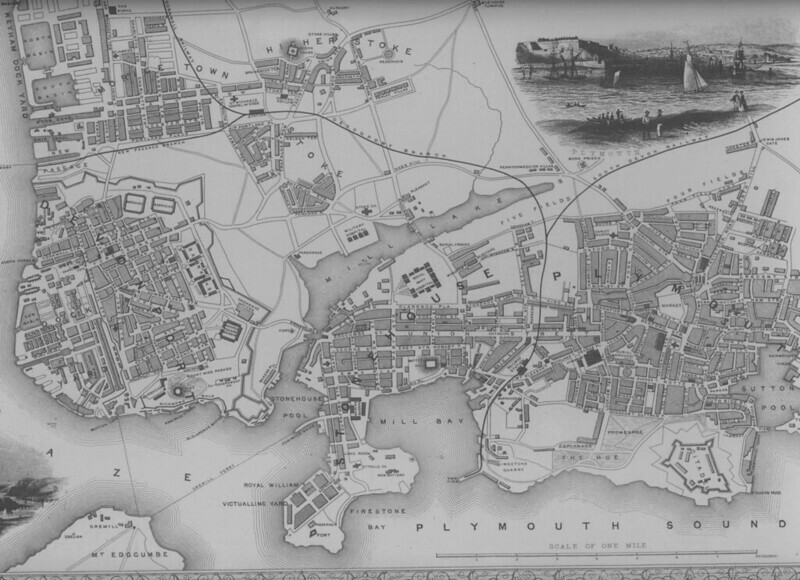 This wonderful map from 1860 shows the line into Mliibay when it was the main station for Plymouth. When was the New Passage Branch closed?